Are you suffering from one or more missing tooth? 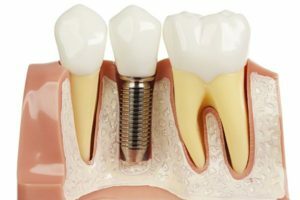 Dental implants in Melbourne is one of the best tooth replacement treatments you can undergo to rectify your missing tooth. During the dental implants treatment, your dentist will place the screw-shaped dental implants into your jawbones and allow it for osseointegration. During this process, your implants will get fused with your jawbone and act just like your natural tooth root. After that, your dentist will place the permanent tooth on the implants, and it acts just like your natural tooth. Once your treatment gets over, you need to take the necessary steps to speed up the healing process. Here we have mentioned few tips to speed up your recovery process. It is common that you experience swelling after undergoing dental implants treatment. So it is recommended to use cold compresses after the surgery and reduce the swelling, and the discomfort caused. Hold the compress to the swollen area for around 15 minutes and leave it off for the next 15 minutes and repeat the same to make you reach the comfort level. Smoking and usage of tobacco can affect your healing process. Smoking won’t allow enough oxygen into your body which is one of the main components that helps in healing process. If you don’t avoid smoking, you risk slowing your healing process and prolonging the process. Smoking can cause discoloration around the implants and affect the growing gum around the implants. Also, avoid alcohol after dental implant treatment since it can affect the healing tissue and delay the healing process. After the tooth implants in Melbourne, you need to rinse your mouth frequently with warm salt water. Rinsing with warm salt water helps to eliminate the growth of bacteria and germs in your mouth. The growth of bacteria or germs can irritate your surgical site and thus affect the healing time. So make sure to rinse your mouth with warm salt water often or at least after each meal to eliminate the growth of bacteria in your mouth. You need to take only soft or liquids foods for few days after the surgery. Soft foods include ice cream, yogurt, mashed potatoes, etc. Also, you need to avoid hot foods for few days to speed up the healing process. Make sure to take healthy foods that could build strong immune system. The strong immune system can help to speed up the healing process. Last but not least, it is very important to take ample amount of rest to speed up your healing process. Pushing your body beyond its limits after surgery is not a good thing. Avoid vigorous exercise after the dental implant surgery to speed up the healing process.